We all know the importance of being able to innovate by “thinking outside the box.” People invest millions each year to develop this skill. I think it’s time we reclaim this valuable tool as an everyday habit of mind. 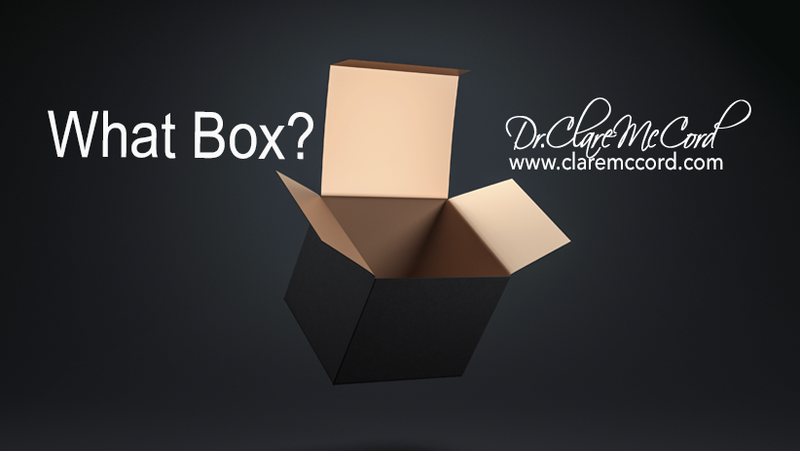 Once we develop what I call a Renaissance Mind, we can always have a fresh perspective, and ask: what box? The creation of boxes is a longstanding tradition. Although there are exceptions, most educational and work environments limit or deny us opportunities to develop what we now call the body/mind – enhanced mind power based on expanded awareness of our bodies and senses. Ironically, sight is the sense often associated with an expanded mind. We applaud “vision” or “visionaries,” but we severely limit this crucial sense. Learning and work are accomplished primarily through visual input, but in a flat, one dimensional format, on paper or on the screens of our computers. So already we are stuck in one dimension, maybe two. We use our hearing, but only at a fairly primary level, and as we know, real listening is still a skill many find lacking. We are not encouraged to use our other senses – taste, touch, and smell – to develop our mind or to do work. Our bodies are often completely neglected as we work, and movement is difficult when we must sit at desks all day. Instead of being integrated into our development, movement and use of our full body becomes a separate function, with a box of its own, labeled “exercise.” If the body is the mind, inspired by movement and sensory awareness, no wonder we struggle to think outside the box. It’s good to be aware of the many mental boxes we have constructed through the process of education itself. It’s arguable that the more formal education one has, the more proficient one’s box factory has become. Faced with enormous amounts of data, our best coping and learning strategy is to divide and classify- to box it up. We are trained to memorize things called “facts” and “rules” and told that they are static bits or predictors of reality. We get stuck in our beliefs about what is possible, or what has been successful or unsuccessful in the past. These types of thinking become belief lenses that limit our ideas of what is possible or correct, so again, more boxes. Take full vision breaks from your desk, where you look out into the room, move your body to music, sing, or go outside. When you write something, read it aloud so you can hear how the language sounds. Use as many senses as possible in any activity. Take movement breaks, stretch or move to music (using another sense). Practice mindful movement – releasing thoughts of the day and focusing on how your body feels, which parts may be sending you messages. Be aware of how your body is reacting to the environment as well. Always be ready to open and deconstruct boxes. Have fun playing with any idea or problem. Look at weird combinations of ideas or solutions. Pretend you are an alien and you have no preconceived notions of what belongs where or why it does. Developing the ability to be curious and creative at any time is the key to a Renaissance. I hope you’ve enjoyed this perspective, and that you’ll reach out if I may assist you in your personal, professional or organizational Renaissance.